Fungal Genetics - gfgenetik1s Jimdo-Page! 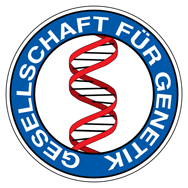 The GenAG - Genetics of Fungi was founded in 2011 and currently has about 40 members. Genetics of Fungi brings together researchers with interest in working with fungal species using genetic methodology. It is the goal of the GenAG to promote research using fungal model systems and to organize combined meetings with other scientific societies. Moreover the research area of fungal genetics will be presented in symposia in biannual conference of the Society of Genetics.